• Jai Waetford is back with new music. The young performer, who came third on ‘The X Factor’ back in 2013 behind Dami Im and Taylor Henderson, will release his new single ‘Living Not Dreaming’ next Friday, but Spotify users can get their fix of the new track exclusively for the next week. The track is Jai’s first release since his ‘Shy’ EP just over a year ago. • Anja Nissen could be on her way to Eurovision, if the vote in Denmark’s national selection falls in her favour. The 2014 winner of ‘The Voice’ is in the running for the honour with her new single ‘Never Alone’, which was released digitally yesterday. We’ll find out after the Dansk Melodi Grand Prix 2016, which takes place on February 13. • It’s anticipated that Sydney producer Flume will do rather well for himself on tonight’s ARIA singles chart with his latest single ‘Never Be Like You’. But he looks like he’s after more chart action, yesterday dropping another the aforementioned’s double a-side ‘Smoke And Retribution’, this one featuring Vince Staples and Kučka. Check it out HERE. • The new Ellie Goulding single has arrived. ‘Something In The Way You Move’ is the second single to be yanked from her latest album ‘Delirium’, following on from ‘On My Mind’, which arrived all the way back in September. The song was delivered to Australian media yesterday morning. • Massive Attack have released a new EP. ‘Ritual Spirit’ arrived yesterday, signalling the end of a five year wait for new music from the British trip-hop outfit. But their label EMI tells us there’s more to come, with another EP due to drop in the coming months ahead of a full length album release later in the year. 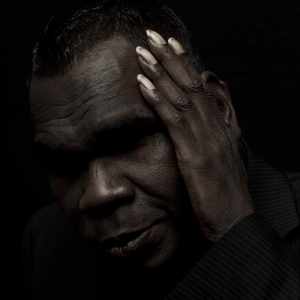 • Gurrumul’s forthcoming Australian tour has been cancelled. The singer, who was due to perform his TRIBE2tribe show at Max Watts venues in Sydney, Melbourne and Brisbane next month, has been forced to pull out of the shows due to “ongoing health issues”. Gurrumul’s headline appearance at this year’s St Kilda Festival in Melbourne has also been cancelled. • Cyndi Lauper will release her new album ‘Detour’ in early May. Those hoping for a return to the dancefloor delights of her 2008 album ‘Bring Ya To The Brink’ will be disappointed. Recorded in Nashville, it’s a country album. It’s out on May 06. Grat track ‘Heartaches By The Number’ is available now. • Brooklyn-based hip hop duo The Underachievers will tour Australia in April. Live Nation has revealed that the boys will play Brisbane’s Woolly Mammoth on April 08, Howler in Melbourne on April 09, Oxford Art Factory on April 10 and Perth’s Jack Rabbit Slim’s on April 12. Tickets for all shows are on sale at midday on Monday. • No change atop the British singles chart this week; Shawn Mendes still flying high with his breakout smash ‘Stitches’, ahead of Justin Bieber’s ‘Love Yourself’. But the big news is the spectacular rise of Jonas Blue’s cover of ‘Fast Car’, which catapults from No.61 all the way to No.3. Snakehips’ ‘All My Friends’ edges three places higher to No.5, while the new Rihanna single ‘Work’ blasts its way into the No.13 position debut… not bad considering it only landed on Wednesday morning UK time. Elle King’s ‘Ex’s & Oh’s’ is also a big mover this week, bulleting from No.64 to No.15. • No change in the top three on this week’s British albums chart, with David Bowie’s ‘Blackstar’ (★) maintaining its No.1 heading, ahead of Adele and his ‘Best Of Bowie’ compile. Bowie also has the No.5 spot this week with ‘Nothing Has Changed : The Very Best Of’, while the new Suede album ‘Night Thoughts’ premieres highest… at No.6. • Justin Bieber remains at No.1 on the Billboard Hot 100 singles chart this week with ‘Sorry’. And the track is now in good company, with ‘Love Yourself’ edging one place higher to No.2, leaving Adele’s ‘Hello’ to drop to No.3. Alessia Cara’s ‘Here’ is up one to No.5 and Shawn Mendes’ ‘Stitches’ is up two to No.6. The Chainsmokers are up into the top ten, but it’s Flo Rida’s ‘My House’ which is the week’s big mover, jumping from No.23 to No.12. Empire Of The Sun’s 2008 single ‘Walking On A Dream’ is into the chart mix at No.82, all thanks to its sync in a high-profile CAR COMMERCIAL. • Adele at No.1 again? You’d think so, wouldn’t you? But no… She’s at No.2 for the second week in succession, held from the top spot this week by Panic! At The Disco’s new album ‘Death Of A Bachelor’, which premieres in pole position. Last week’s No.1 – David Bowie’s ‘Blackstar’ (★) – is down to No.4, with compile ‘Kidz Bop 31’ new at No.6. Glenn Frey’s death sees ‘Their Greatest Hits 1971-1975’ by The Eagles re-enter the countdown at No.11, followed by a debut for Lecrae’s ‘Church Clothes 3’ at No.12. 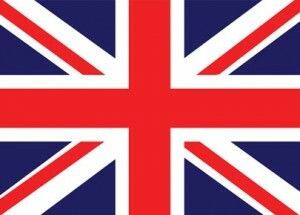 • That’s the UK and US charts taken care of this week. You’ll now be wanting to know what’s happening here at home. And you’ll find out when we return with Chart Watch, live on the site at 6pm AEDT!